April 12, 2013, 7:47 p.m. I'd love to see Day play this game. Even if I don't get to actually see him play it, I think he'd very much enjoy it. 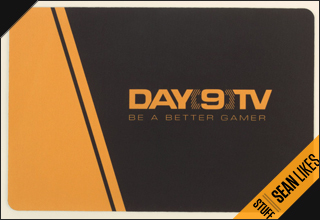 I also don't think it'd be good for the 7 hour "Day9's Day Off." It definitely falls under the category, easy to learn, hard to master though. It's super addicting when you start playing, because it's very easy to restart. I caught myself saying, "One more time... One more time..." When watching it for the first time, you get like an instant headache, but when playing, you Have to get past that. Otherwise, you won't last longer then 10 seconds. Please try this game. I have never played it, but it seems scary!